Dave West is a full time artist and art tutor originally from South Wales and now living in North County Dublin. He studied Illustration at the Carmarthenshire College of Art & Design and more recently gained a degree in Art History. Dave’s practice comfortably crosses several art forms and he is equally at home working in pencil, charcoal, pastel and oil paint. 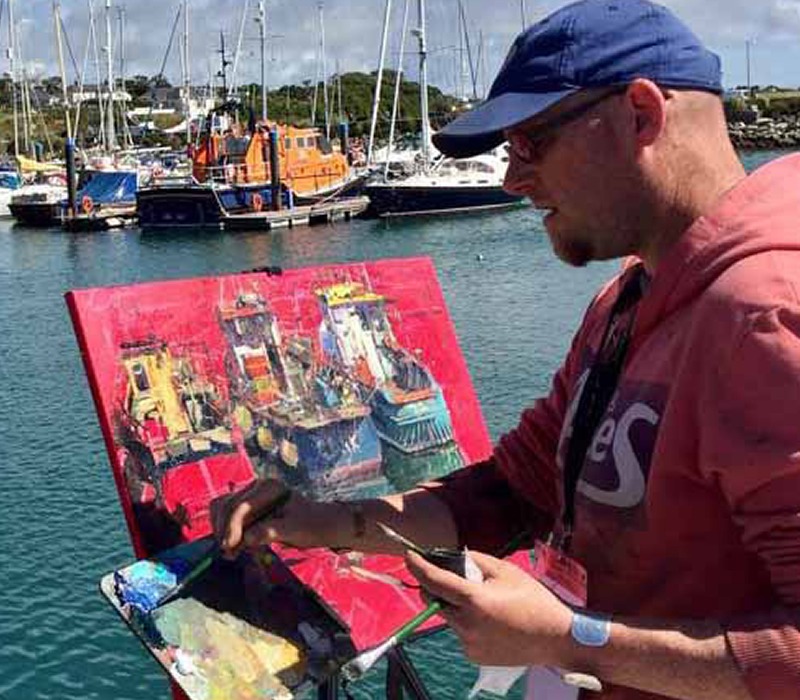 Dave is passionate about ‘plein air’ painting which involves working (in all weathers) directly from the subject. 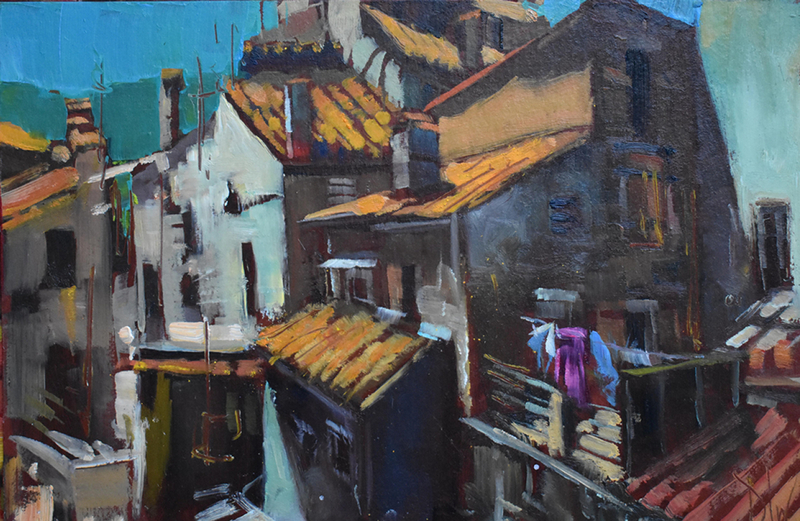 In 2017 he won the Gold Mayoral Award at the ‘Art in the Open’ international plein air painting festival. 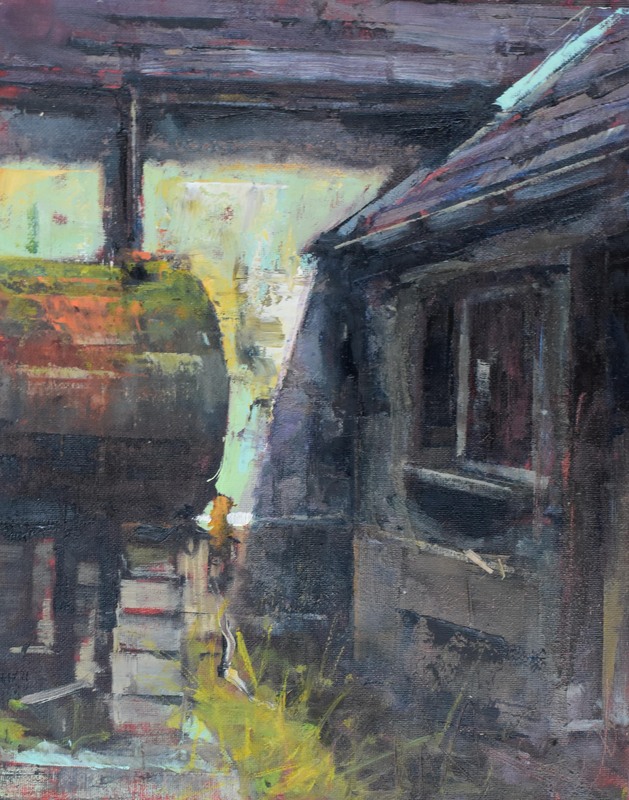 He has had numerous solo exhibitions and exhibited widely in Group Shows including the Royal Hibernian Academy and Royal Ulster Academy, and in the UK with the Royal West of England Academy, Royal Society of Oil Painters, Royal Society of Marine Artists, The New English Art Club, The Royal Society of British Artists, and the UK Pastel Society, at which he won the 2013 Schminke Award. 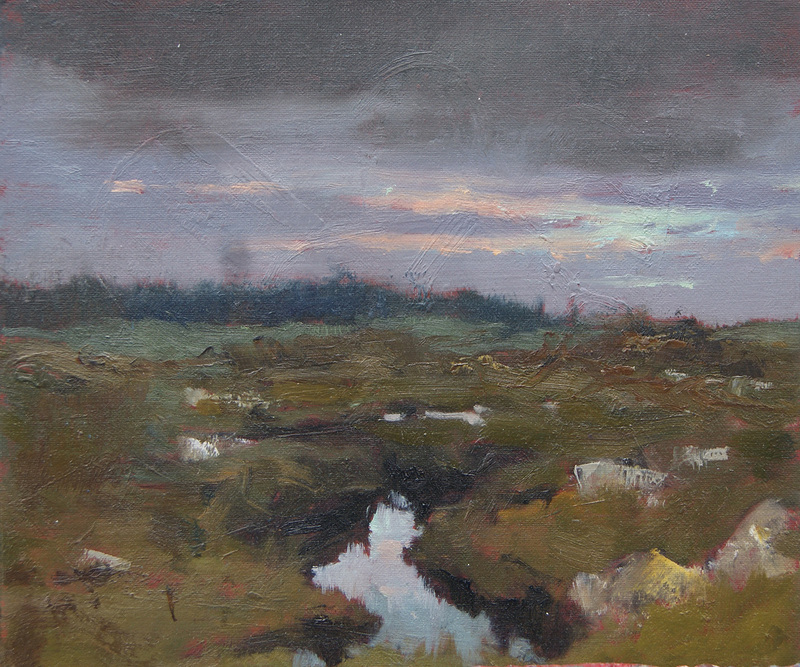 The course will explore the landscape of the local area and how we can create quick and effective paintings. Our time will be divided between outdoor and indoor sessions. Day 1: The morning of the first day will be spent in the studio with a tutorial looking at the components of a successful painting including subject and composition. 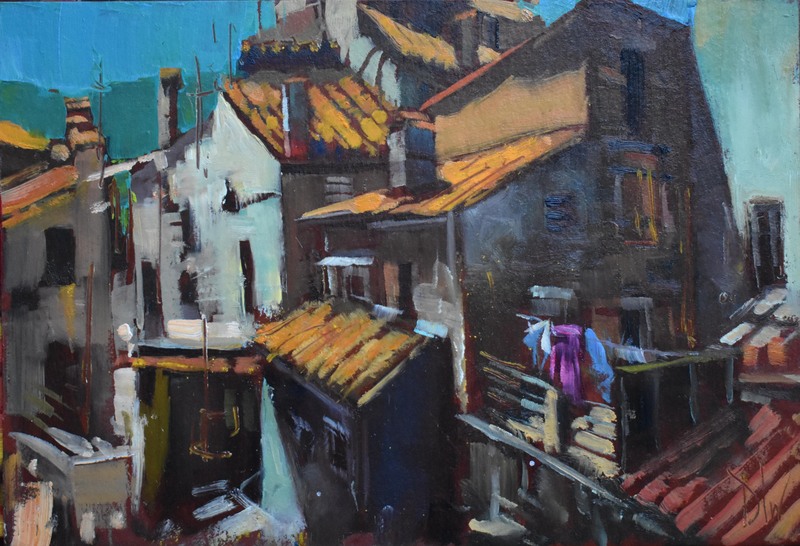 During the afternoon we will go out into the local area concentrating on the essential elements of a ‘plein air’ painting and getting the right information down quickly with drawing materials. Day 3: On day 3 we will look at the oftentimes difficult aspect of finishing a painting. 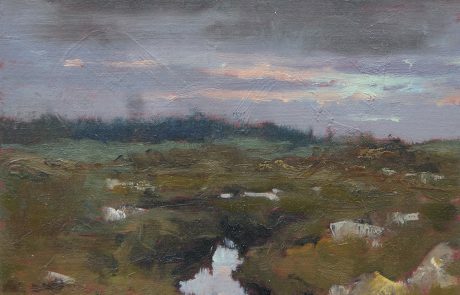 In the morning I’ll go through the process of adding an additional ‘layer’ to the oil sketches and in the afternoon look at adding the finishing touches and balancing the final work.